Both Aurora and Norbi are co-authors of an article that appears in today’s issue of the Science magazine! 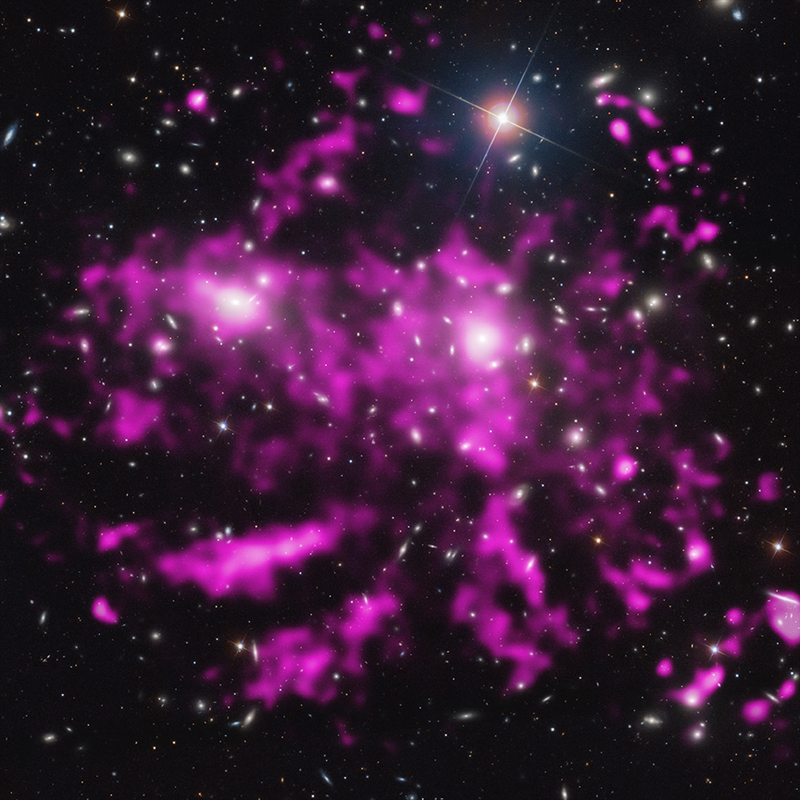 The article presents the results of over six days of observation of the most massive nearby cluster of galaxies, the Coma Cluster, with the Chandra X-ray Observatory. If you are unsure what galaxy clusters are, or why they emit X-rays, go read our latest astroblog entry first! Here’s a very pretty image of what we saw: many long, relatively narrow and straight X-ray arms (shown in pink) trailing behind some of the galaxies in the cluster (shown in white), much like vapor trails behind airplanes on the sky. The fact that these tails are so long and straight implies that magnetic fields must prevent them from being destroyed by strong winds in the Coma Cluster. Click here to read the entire press release from the Chandra X-ray Center or here for the press release from the Japan Aerospace Exploration Agency.